Retired May 15, 1991. Died May 22, 1997. General Robert D. Russ was commander of Tactical Air Command with headquarters at Langley Air Force Base, Virginia. His command comprised more than 112,000 active military and civilian personnel stationed at 300 separate locations in 20 different countries. Tactical Air Command is also the gaining organization for 86,000 Air National Guard and Air Force Reserve personnel throughout the United States. General Russ was born in 1933, in Portland, Oregon, and graduated from Wapato (Wash.) High School in 1951. He received a bachelor's degree in business administration from Washington State University in 1955 and a master's degree in business administration from The George Washington University in 1965. The general was a distinguished graduate of the Air Command and Staff College in 1965 and completed National War College in 1973. He was commissioned as a second lieutenant through the Air Force Reserve Officer Training Corps program at Washington State University and entered active duty in September 1955 at Lackland Air Force Base, Texas. He completed pilot training at Webb Air Force Base, Texas, in October 1956 and subsequently attended F-84F gunnery school at Luke Air Force Base, Arizona, and F-100A gunnery school at Nellis Air Force Base, Nevada. In May 1957 General Russ was assigned to the 81st Tactical Fighter Wing at Royal Air Force Station Bentwaters, England, flying F-84F's and, later, F-101A's. After completing this tour of duty in May 1960, he transferred to the 437th Fighter-Interceptor Squadron at Oxnard Air Force Base, California, where he flew F-101B's. Moving to Hamilton Air Force Base, California, in May 1962, the general served as chief of the Fighter Section, Directorate of Tactical Evaluation, 28th Air Division, until August 1964. After graduation from Air Command and Staff College in July 1965, he was assigned to Headquarters Air Defense Command, Colorado. While there he served as a fighter officer in the Directorate of Tactical Evaluation and later as aide to the commander, Air Defense Command. After attending F-4 replacement training at Davis-Monthan Air Force Base, Ariz., from July 1967 to January 1968, General Russ was assigned to the 12th Tactical Fighter Wing at Cam Ranh Bay Air Base, South Vietnam, where he flew 242 combat missions, of which 50 were over North Vietnam. Upon returning to the United States in March 1969, he was a plans officer in the Fighter and Reconnaissance Branch of the Force Development Directorate, Office of the Deputy Chief of Staff, Plans and Operations, Headquarters U.S. Air Force, Washington, D.C. He moved from the Air Staff to the Organization of the Joint Chiefs of Staff in December 1970 and served as plans officer for general purpose forces, J-5, Directorate of Plans, until July 1972. The general graduated from the National War College in June 1973 and was assigned to the 68th Tactical Air Support Group, Shaw Air Force Base, South Carolina, as vice commander. He held that position until becoming deputy commander for operations of Shaw's 363rd Tactical Reconnaissance Wing in January 1974. General Russ was vice commander of the 4th Tactical Fighter Wing at Seymour Johnson Air Force Base, North Carolina, from February 1974 until August 1975, when he became wing commander. In February 1977 he became assistant deputy chief of staff for plans at Tactical Air Command headquarters, and in July 1977 was named the command's assistant deputy chief of staff, operations, for operations and training. He assumed duties as assistant deputy chief of staff, operations, for control and support in July 1978. 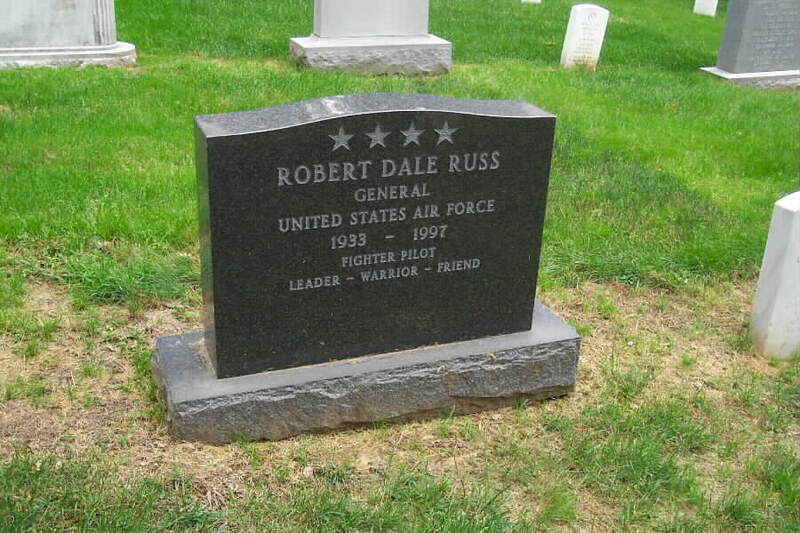 General Russ is buried in Section 30 of Arlington National Cemetery.